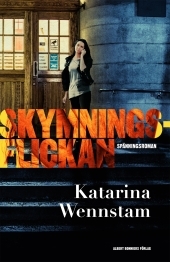 What's happened to the girl who police detective Charlotta Lugn always runs into in the evenings? She screams through the nights, she harms herself and she seems to have lost her will to live. Who will trust someone who's maybe lied before? Who will believe in Molly? Charlotta and Shirin Sundin do. They are determined to find out what Molly has been through, to make sure she is vindicated and finds peace. Simultaneously a high school is recieving threats from someone, and they are very serious and threatening death. The nighmare of a school massacre suddenly seems like it could become a reality, and shortly thereafter a student is found murdered in a bathroom. The investigation seems to pull the police in a million different directions and some of the leads point back to Molly, and her deceased friend Miranda.